July 1, 2016. I closed the sale of my house, with my cousin and Lawyer, Stanley Clapp. He has relocated in Leaside from his original Toronto Erskine Ave address. 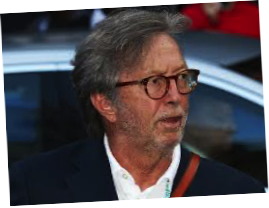 Boy, does he look a lot like Eric Clapton, but that is another story. . .
Eric Patrick Clapton (born 30 March 1945, in The Green, Ripley, Surrey, England) is an English guitarist, singer and composer. 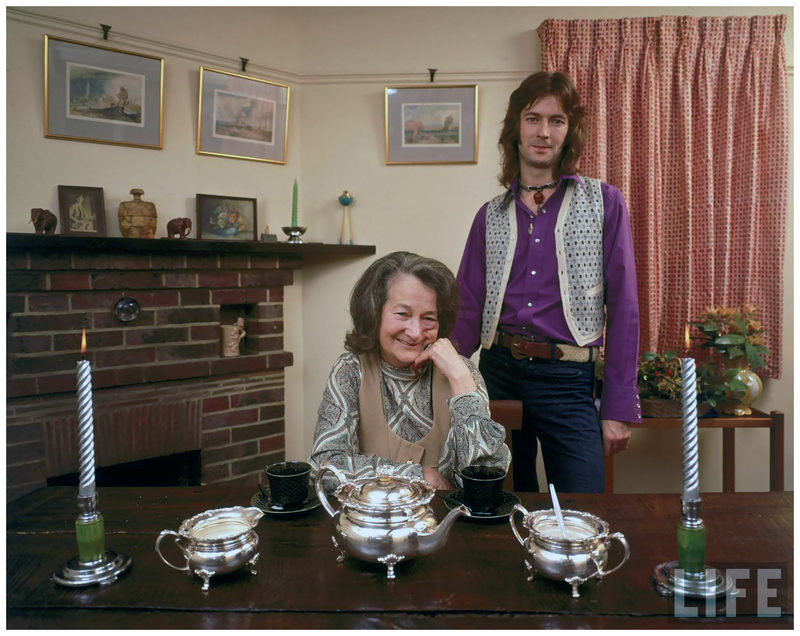 Clapton is the son of sixteen-year-old, Patricia Clapp, and Edward Fryer, a Canadian soldier stationed in England. Eric’s biological father, who already had a wife, returned to Canada after World War II. 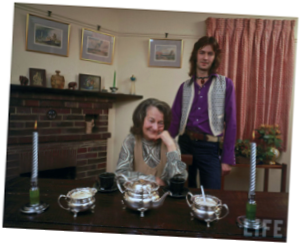 His mother, was not able to bear the shame of raising an illegitimate child (a child of unmarried parents) in post-war Britain. Patricia Clapp (age 16), Rose Clapp’s daughter, ) too young to care for a child, left Eric to be raised by his grandparents Jack and Rose Clapp . 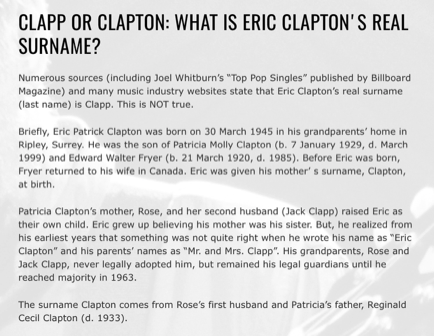 The surname Clapton comes from Rose’s first husband and Patricia’s father, Reginald Cecil Clapton (d. 1933), and this was the surname that Eric was given. Until Eric was 9 he thought Rose Clapp was his mother. She was actually his Grandmother ! Interestingly enough, my father's name is Jack and my Uncle's name is Cecil, and my first cousin Stanley Clapp, looks like Eric !